C. B. Cook is visiting today!!! Here’s an awesome author interview I did at katiescottagebooks! Check it out! 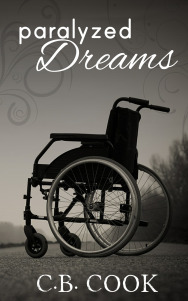 Give a shout out and a huge welcome to C. B. Cook, author of “Paralyzed Dreams,” and blogger extraordinaire! answer: I’ve been blogging for almost two years. Two years! I can’t believe it’s been that long! I originally started my blog because my friend had a blog and I thought it sounded like fun. eventually, it morphed into a way to share my writing with everyone and to make tons of writing and blogging friends. Why, hello there! I didn’t mean to disappear this month, but how can I help it when I’m forced to go on a top secret mission to Russia? Or *cough* when I completely forget about blogging. Never fear, August will hopefully be better when it comes to posting. Congratulations, S. K. Lupu! I’ll be emailing you your winner button shortly. 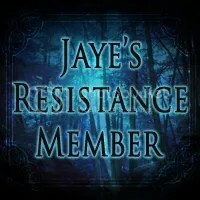 Check out writinganyone’s entry, too! Both contestants did a great job, and it was really close. Now for August’s contest! I’m super excited about this one! You may (or may not) remember the contest we did in May, the Character Creation Contest. I got such a positive response from that contest that I’ve decided to do it again… only this time with a twist. I am 99.9% sure that you’re thinking Why hospital? I’ll admit that it does seem very random and it would be the last thing I would pick for a topic… except that my current work-in-progress has quite a few scenes that take place in a hospital. Mostly in the children’s ward, to be specific. I’m super excited! 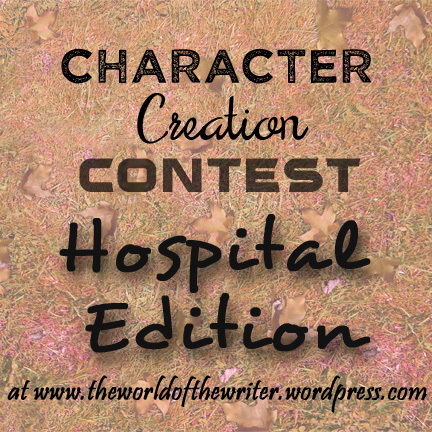 The prize for this month’s contest is a spot in the novel. Your character will be in the novel! Not as a main character, but as a sort of cameo… with a few speaking parts, of course. Please note that if you win and you would rather keep your character for you own stories, that is perfectly fine. You’ll have the title of winner, but second place will get the prize. Information that must be included: Name, why they are at the hospital in the children’s ward (what sickness or disease), what condition they are currently in (bedridden, wheelchair, fairly normal), and of course their personality. PLEASE INCLUDE A PICTURE. Ages 5-13, preferably. Need help finding inspiration? Click here for some cute black-and-white kiddo pictures. Information that must be included: Name, position, what they usually do, and personality. 1. Maximum amount of entries is one per category. 3. The deadline is August 31st, 2015!!! If you have any questions, ask below! I can’t wait to see what you guys come up with! Got an idea for a contest? Submit it using the Talk to the Writer page.